The redevelopment of Vauxhall Nine Elms will impact on local schools, transport links, health services, your family, your home, your life, your neighbourhood. The Kennington, Oval and Vauxhall Forum are organising a public meeting on Tuesday 19 January to discuss the development plans around Nine Elms. "Hundreds of new homes and residents will impact on transport, parking, schooling, health care and recreational facilities. What are the plans to cope with these changes? "On 19th January, we have a chance to listen to these plans, question the proposals and make suggestions. Please take part – don’t leave it to your neighbour who may have different ideas from yourself. We look forward to seeing you there." 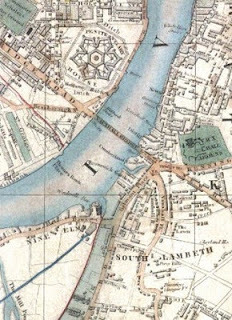 Pictured is a map of Nine Elms from 1847.